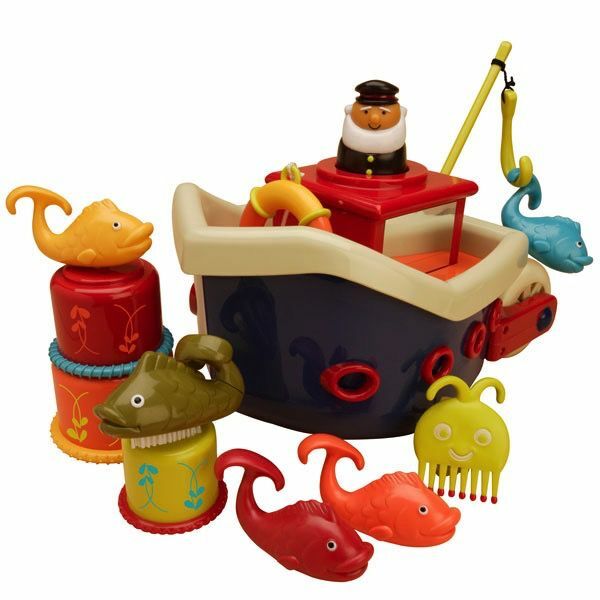 Fish & Splish is a floating boat that comes with a Captain, life preserver, fishing hook & 4 ready to catch fish, 3 nesting cups for showering, stacking & pouring, and an octopus comb and whale nailbrush. 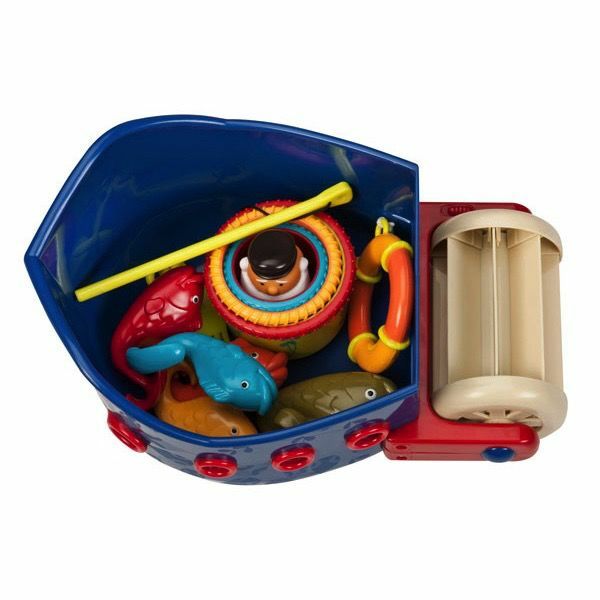 Everything stores neatly below deck. It comes in a 100% recycled box with a gift tag.